HomeProductStream to Facebook Live directly from Wirecast! Stream to Facebook Live directly from Wirecast! Nevada City, Calif., April 13, 2016 – Telestream®, the leading provider of digital media tools and workflow solutions, today announced that the latest version of its popular live streaming software Wirecast now features Facebook Live as a streaming destination, allowing users to create and stream high-quality broadcasts from their computers to their Facebook timelines with just a few clicks. Facebook recently announced the ability for all users to stream live video to their feeds through the Facebook app for iOS and Android devices. With Wirecast, users can now elevate the production value of their live videos by using multiple cameras, graphics, effects, transitions and other professional capabilities. With direct integration between Wirecast and Facebook Live, Wirecast users can publish live streams directly to the Facebook Live platform from within the Wirecast interface. With so many businesses maintaining a Facebook presence, streaming live content presents a perfect opportunity to attract additional followers while increasing overall traffic. Creating dynamic, eye-catching content with titles, graphics, and transitions keeps otherwise fickle viewers engaged and tuned in. 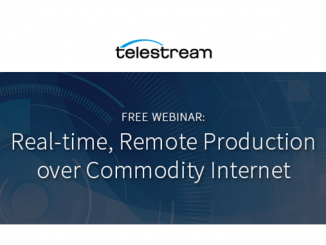 “Facebook Live allows people and businesses to connect with friends, fans and followers in exciting and much more interactive ways,” comments Barb DeHart, Vice President of Desktop Business & Corporate Marketing at Telestream. “With Wirecast live streaming production software, Facebook users can create unique and professional live streams with professional production capabilities, such as multi-camera live switching, lower thirds and titles, green screen, instant replay, scoreboards, and much more,” added DeHart. Wirecast is ideal for broadcasting professional live web shows, news, online gaming, sporting events, concerts, church services, corporate meetings, lectures and much more. With Wirecast, users can switch between multiple live cameras while dynamically mixing in other media such as movies, images and sounds, and adding production features such as transitions, built-in titles, chroma key support, virtual sets and live scoreboards. Because Facebook Live is now an integrated broadcast destination for Wirecast, once they have started streaming, users will be able to see the number of live viewers, the names of followers who are watching, and a real-time stream of comments, throughout the live broadcast. Once the broadcast is complete, the video will stay on their timeline like any other post. Wirecast 6.0.7 featuring Facebook Live as a destination is available now as a free update from Wirecast 6 or for purchase from www.telestream.net. Prices start at $495. Wirecast will also be shown at NAB 2016 on booth SL4525 April 18-21. Wirecast is the only cross-platform, all-in-one live streaming production software that enables capture, live production, and encoding of live streams for broadcast to multiple servers and platforms simultaneously. Wirecast is ideal for streaming or recording live internet shows, broadcasting breaking news and sports, streaming live concerts and games, transmitting church services, corporate meetings, lectures and more. Pro production features include live scoreboards, 3D virtual sets, chroma key support, advanced audio controls and more. More information is available at www.telestream.net. When will you guys make this available on wirecastgo for my iphone or smartphones? Unfortunately we do not have an estimate for when this might be possible. Can you do screen share with this? Does the $495 wirecast option include it? Do you have a monthly payment option? Kind of hard to pay $500 for a starter. Alexis, I want to livestream Facebook Live television newscasts from Beijing, China daily. Can you contact me to discuss. 480-758-2963. Is this available only on Wirecast Pro?. It is available in Wirecast Studio as well! I’ve just purchased Wirecast Studio based on the comment above, but can only see YouTube options for streaming. Please would you confirm how to enable streaming to Facebook? Can wirecast play do this?? At this time, Wirecast Play can only stream to YouTube. When it will be possible for wirecast play to stream on facebook? Fantastic! My “Page” option only offers “My Profile” however– is there a way to have pages where I am admin available to stream to? Are you able to stream on pages or is it only to stream on profiles? You can stream to pages that you are an admin of as long as you allow “public” posts during authentication. Is this available with Wirecast Play? I am currently streaming to Youtube but it would be great to be able to stream to both Youtube and Facebook or even just to Facebook Live. Is this possible? At this time, Wirecast Play can only stream to YouTube. I will pass your feedback along to our dev. team, however! What is the cost to upgrade from Wirecast Play to be able to stream to Facebook? Which version of Wirecast Play are you on? The $9.99 version or the Play Studio or Play pro versions? Oh Sorry, my license level is Wirecast Play Studio. It would be great to know what the cost would be to upgrade to be able to stream directly to Facebook. Can this be set to stream within Facebook Groups? This month I’ve been able to start streaming in private groups we manage, but Wirecast doesn’t yet see that as an option. Unfortunately, Wirecast has not yet been given the permissions to stream to groups. You can stream to Pages that you are the admin of, however. How do you stream to Pages that you are the admin of? I know that there is a bug with streaming to groups right now that Facebook is working on. But OBS was able to stream to groups previously so why would OBS have permission and Wirecast would not? This is awesome, Ian. Thanks! Do you know when that will become available? Hi Keith! Facebook limits it to 90 minutes. Sorry to hear that it cut off your church service without you expecting it! I think as FB LIVE evolves – they’ll open it to a longer duration. Also, what an incredibly technologically advanced church you are! So awesome to livestream to FB!! At this time I do not think that is possible. Facebook is not freely giving their custom RTMP information. You need a device or 3rd party integration directly with Facebook. Thank you Alexis for reply. Do you know any 3rd party to do it? My version of 6.0.7 distorts audio but works fine under 6.0.6 however then I can’t stream to Facebook using the update. Is there a way to stream with older versions of Wirecast 6..? Have you been in contact with our support tech Kitty? She said that you two have come up with a solution to your issue. Can I stream live video to different Facebook pages at sametime with wirecast 6.0.7? Yes, you can as long as you are an admin on each page. In the Output Settings menu in Wirecast, go to the bottom left and add an additional output to stream to multiple pages. Can wirecast edit facebook comments and air certain ones ? You would have to have a moderator looking over comments as they are being published and delete any you do not want. So you guys don’t have an API to control comments ? No. Nothing like that. Sorry. The comments are controlled by Facebook. Can I at least see the comments as the come in (live)? Also, where is it that I can see the number of currently connected viewers? how long can i stream to facebook with this software. example i can stream to facebook from phone for 30 minutes. How long does this software allow me to stream? Hi Marcus, Facebook only allows you to stream for 90 minutes at a time with Wirecast. 4 hour maximum length for live stream. 4 hour maximum length for preview streams (either through Live dialog or publisher tools). After 240 minutes, a new stream key must be generated. so why does it cut off after 90 minutes? Thanks for the heads up. I was actually not aware that Facebook had increased their maximum stream lengths. You can absolutely stream up to Facebook’s maximum time. There wasn’t ever a limitation built into Wirecast, just Facebook itself. This may seem like a silly question, but we can’t figure out how to STOP a stream once we go live. Once I’m finished with my facebook live stream, if i uncheck the stream button, it sends the stream on my page in an infinite loop at the end and I can’t finish the stream until I delete the entire post off my page! Hi I downloaded the trial version and cannot get anything to work when testing the stream to FB…it simply tells me that “The server returned an error message of (#200) App does not have permission to create live video on this user” Please check your setting and try again. Any ideas as I love the concept of wirecast but cant try it out? Any way to make the audio quality better when streaming to FB? Do you know what rate they stream at and will it improve in the future? I don’t have the specific info on FB’s stream rate or any intel on improvements. What kind of mic are you using to do your broadcasts? Could it be a hardware issue? It’s actually audio from a mastered audio file playing from in Wirecast. Sound quality is great on YouTube I think they stream audio at about 192k but on FB it sounds like 96k or lower. Hmmm ya. I think that since FB Live is relatively new, they will be continuing to make improvements to the quality of their streams. If I find out anymore about the dev timeline, I will let you know. Getting errors from FB saying Wirecast app is deleted or disabled? Is there an update happening? Facebook seems to be having difficulties authenticating Wirecast at the moment. We are looking into the problem now. Stay tuned! Has this been fixed yet? Trying to stream right now! Yes. Everything seems to be working properly now. Thanks for your patience! I wanna know if there is possible to see the viewers (watchers) of my Facebook LIVE broadcasting using Wirecast. You know it is available to see who the viewers are while using smartphone facebook Live. At this time, you cannot see the exact people who are viewing your live stream. This may be something that Facebook enables for 3rd party applications in the future, however. As with @Jeremy above, I’m also having a problem with ENDING a facebook live stream. Clicking “stream” to end the stream in Wirecast just sends the Facebook live player into a “loading” state but still says the player is live. I usually have to quit Wirecast altogether, and then the stream finally ends after a few minutes. Any suggestions? This is something that we are looking into right now. When you end your stream in Wirecast, it does in fact end on Facebook, however, it looks like there is a delay. Our support team is working closely with Facebook to determine the problem. Ok, good to know, thanks for the response! Was this problem ever fixed? We are still having issues with it. Wirecast i working fine on my laptop encoding at about 45% CPU. However doesn’t look fluent in a browser on another computer, like when I’m using Dacast. I don’t know however what I should expect. Also, I can’t seem to open up the fb live stream on my iPhone or my iPad (the while small center wheel just keep turning). When I enter the settings in Wirecast under facebook encoder settings I have an option under “Quality”. The default is 3, but it goes from 1 (Ultra fast encoding) to 9 (Very slow encoding). What is this and how will it reflect my stream and CPU load? Ps: My web connection is 250/250mbit. By the way… the stream does open on another iPhone here… odd. Guess the reason why I can’t see the stream on my own devices, is because I’m sending FROM my account (via wirecast). Makes sense as it works on all other devices than mine. Hi, is there any way to modify FB encoding settings? I’m trying to stream a 720×720 output @ 5000 kbit/s, but it won’t let me select any other settings than default. At this time, Facebook controls their encoding settings and we cannot modify them. This may be something that make available in the future as they continue to grow their live video presence. Thats not entirely true, I found out a work around. You guys support live streaming from on-demand content and not from an integrated camera? This is more to do with Azure media services and soon to follow with Facebook live streaming. Say if we wanted to stream a pre-recorded content live at a given time for an online event. Can this be done with Wirecast? 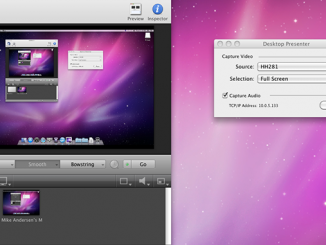 Yes, Wirecast is essentially a video switcher. You can upload pre-recorded content into Wirecast as a ‘shot’ but you will have to push it live manually at your desired time during the stream. You can also stream live video. We do not have an integrated camera, but Wirecast integrates with most major brands. Thanks Alexis. I will try the trial version and test it out. First of all, I totally love the software: really use to use, very intuitive and easy to get started with. First, which was mentioned above is the ending of the broadcast. There is a delay of about five minutes before the broadcast ends. So when I click on the stream button to end in Wirecast it ends about 5 minutes after that on facebook, and only when I completely shut down Wirecast. Secondly, Facebook sees the livecast as being posted from Wirecast. This has a negative effect on the number of people seeing the post at the time i.e the reach. When i posted from my phone as me the live viewers were around 2k – 3k whereas now using Wirecast I am getting only 1k live viewers. This is down to the fact that Facebook sees you as someone else posting to my page, whereas if we could post the live broadcast as ourselves then that would dramatically increase the reach. So is there as way I can post as myself from wirecast? 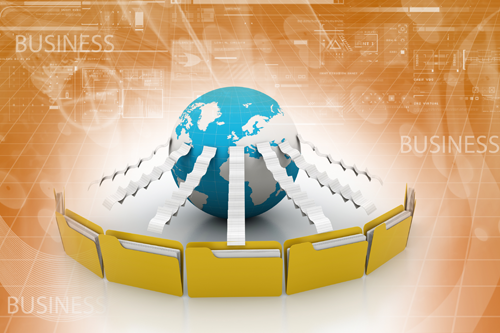 I`am admin of a lot of pages, but dont appers all pages as option for me. My page is certificated by Facebook like oficial, but wirecast only show a 2 ou 3 options. I`m using a 6.0.7 version on Windows. This is a feature that Facebook will need to unlock at some point. We have no heard of a time frame on this. As someone who only uses Screenflow right now, could I use Wirecast to just live Screenshare through Facebook? Also, what is the audio quality like for system audio for live streaming? Wirecast sees personal facebook profile, how does wirecast see a fan page to stream to? You cannot stream to fan pages unless you are an admin of that page. To do this, make sure all of your Wirecast/Facebook settings are set to Public so that Wirecast can recognize your additional pages. I tested your Wirecast v6.0.7 in Windows, and i found that the Software cannot detect my Onboard Sound Card Line Input Source in the Computer Motherboard. So, to be able to work with Wirecast, i installed an Application Called “Virtual Audio Cable” to link with “Line Input Source” to “VAC” then to “Wirecast”, but there is a little bit delay on Audio maybe because the connection link in not a Direct to Wirecast. By the way, I used Line Input Source on the Computer Motherboard because i am Using a Mixer which is using a 1/8 Jack then Connect to the Input Source on my Computer. Can Wirecast stream to multiple FB accounts if you are the admin? For example, a interviewer, interviewee and a brands page at the same time? Yes, it is possible to stream to multiple Facebook pages simultaneously. In you output settings, you can add multiple destinations by clicking the plus sign in the bottom left window. Many thanks for the reply, Alexis! Does anyone know how to show pre-recordings for facebook live? I think its Not possible to Stream to Facebook and YouTube at the same time, Right? I have got a failure notice that Facebook online Supports her own Stream?!? In accordance with Facebook policies, you may record your stream locally while streaming to Facebook Live, however, streaming to other destinations will be disabled. Now you stream a 19:6 ratio screen. Is it also possible to stream 1:1 video. So the square format. Can you stream simultaneously across multiple Facebook pages at once if they are housed under a global Facebook page? Yes, you can. In your Output Settings you simply need to add another destination. In your case, another Facebook page. I have tried this, but only one facebook page is getting the post. Any tips? Did you purchase Wirecast Play Studio (the YouTube version) or the full version of Wirecast? Only the full version allows for streaming to Facebook Live. I try it clearing the browser cache and the re-authenticate. If that still doesn’t work, try deleting the app from your Facebook profile and re-authenticate, making sure to not change any of the privacy settings or permissions. Can Wirecast now stream to groups you own? There are a few products out that can do this type of syndication, but if it can be done using Wirecast Studio 6 or it’s planned in the future I rather use Wirecast for that purpose. I need to know is it possible to broadcast prerecorded audio/video message to visitors on joining the live stream so that they will get the introduction And doesn’t miss it. Yes, you can stream pre-recorded video with Wirecast. You can just add your media in as a shot. Can we use Wirecast to livestream video to facebook through a smartphone? If so which app version do we need? We have about 20 people within the business who would need this ability would we have to for the app pay per smartphone? Do you know how we can stream through wirecast directly to facebook (on a phone) while embedding a Sprinklr key and link for tracking? It would be great to speak with someone in more detail about all of the above if someone could contact me please? It seems that Facebook doesn’t let you stream again immediately after the 90 minute timeout. I’ve created a new output settings profile and reauthenticated after the timeout, but I continue to receive a “Cannot publish stream.” -4020 error. Can you verify if Facebook time locks restarts? Thanks!! Hmmm. I haven’t heard that problem yet. You could try chatting with Facebook support. They may have more insight. Is Wirecast same as gotowebinar? Does it work well for live webinars and is it just one time payment? 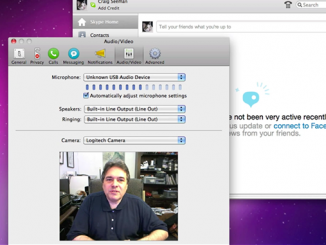 You have many more live broadcast options with Wirecast than you do with gotowebinar. You can use Wirecast for webainars, yes. It is a one-time license fee. Is it also possible to stream 1:1 (square format) video to facebook? You can reconfigure your ratios, yes, but we don’t recommend it. 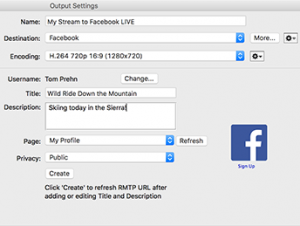 We have set up the Facebook presets that work best for their live streaming set-up. Is there a way to increase the bitrate? Seems like the video stream being uploaded by wirecast is flash based, I am getting a “Flash unavailable” when trying to watch. Eventually Facebook converts the video but watching live doesn’t work on iPad and Mac without flash. I was able to monitor on my iPad a live Facebook broadcast using WC7. I did have about a 6 second delay between the live going out and the iPad. I have the Wirecast 5.0.1. What can I do to broadcast on Facebook? I’m able to stream to my own FB page but not to a page I manage. What do I need to do differently? When you stream from wirecast to facebook will you be limited to the hour that facebook gives you or this is nonexistent? The cut-off for Facebook is 90 minutes, and yes, it still applies if you’re using Wirecast. So I can stream at the same time on Facebook Live and Webcast itself? If somebody does not have facebook can still watch it on Webcast? Or if I stream through FB LIVE it’s only Facebook? Facebook does not allow simultaneous streaming to their site and others. You can record a local copy of your stream and upload it later if you’d like. I have Wirecast 6 and have been streaming to facebook pages for some time now – it works great. However, it lacks the ability to stream to private FB groups. Is this something that is included in the Wirecast 7 upgrade ? We are hoping that function will be available soon with Wirecast 7, yes! Hi I am looking to buy live streaming solution. I need to do live stream on our Youtube channel and facebook page on sametime. Is it possible I can stream live on both Youtube and facebook using one wirecast sofware? Secondly I do have camcoder and computer Do you know what other things we need to do live streaming. If you have any article please pass it to me. Is it possible to edit the encoder settings for Facebook Live? Not at this time. Sorry. We do not currently have integrations with Instagram or Periscope. Sorry. And, when streaming to Facebook Live, you cannot stream to any other destinations simultaneously. This is a restriction set by Facebook. You can however, record a local copy of your stream and upload it to other destinations afterward. Hope this helps. Is there any way to have this software with monthly subscription plan? or must pay the full amount for the software. Wirecast is only available for a one-time license fee currently. Can i get Wirecast live for Fb? Yes, Wirecast software will stream to Facebook Live. You can learn more and download the trial here. 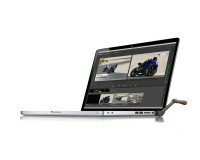 How do I connect my DSLR so it can show on my laptop screen and then stream to facebook live in HD. hi, I would suggest you watch some of our videos on how to connect cameras to Wirecast. You can see them here. 1. Can you stream to your personal profile? I.e NOT a page. 2. Do you see the names of those viewing as they join the LIVE video etc? And additionally comments they are making? 3. Have we gone past 90 mins max stream time yet? 2. No, you will not see names, unless they leave a comment or a Like. But now you can see how many people are watching, commenting and liking right within Wirecast, next to your output statistics. 3. Yes, Facebook has upped the limit to 4 hours now, or you can use “Continous” live streaming which is unlimited but won’t record. What’s the current status for stream 1×1 to FB live? Will wirecast remain stable when cropping to the unusual 1×1 aspect ratio? What are the cropping specs for 1×1? Hi Jeff, We actually haven’t tested that… We don’t have the 1×1 aspect ratio available as a standard size from our Facebook Live destination. But you could try it using a generic RTMP stream to facebook, and see how that works. There’s no reason Wirecast would stop that from working… though there may be some restriction on the Facebook side (because, obviously, they’d rather you use their phone app for those streams) Let us know how it goes! ok, false alarm – managed to get it through. phew!! How did you get pass this? I have the same problem. Let us know if you are still having this problem! Sometimes the cacheing from your main browser (Microsoft Edge or Apple Safar) can cause issues with web login. Is there a way to combine a camera shot and a screenflow shot? What we’d like to do is cut back and forth between a presenter on camera and what they’re doing on their ipad screen. Are FB native targeting options (e.g. restricting post to location) supported in wirecast? No yet, but coming soon! What to type in places box? I am trying to use Wirecast to stream to Facebook live so my stream is optimized to be viewed vertically on a phone. I want the video to look like it is being recorded live from a vertical phone. While I am able to change the canvas size, I am unable to change the output settings on Facebook live. Does this mean I will be unable to achieve this. Any response would be greatly appreciated. That’s going to be tricky to do since Facebook wants phones to look like phones and full HD content to look like full HD content. They asked us to specifically use the 720p settings for Wirecast/Facebook content. You might be able to get around it by using Wirecast’ generic RTMP destination and streaming to Facebook via RTMP, but I don’t know if their server will accept video at a different size or not via RTMP. WHY CANT I STREAM TO FB AND YOUTUBE SIMULTANEOUSLY ANYMORE!!!??? Why would you take away a great feature from 6 right after I paid $999 for the update to 7. DISAPPOINTING TO SAY THE VERY LEAST!!! Please make changes, QUICK!!! We’ve been asked to follow Facebook’s guidelines regarding streaming to more than one location at a time while using their API. If you would like to stream to Facebook and Youtube at the same time, then you will need to configure Youtube as a generic RTMP destination inside Wirecast, which Youtube allows. i am using wirecast 7.2.0 pro and i keep getting blocked by facebook for copyright infringement and my fan page. can you give a reason for this issue? Wirecast is the bomb. Runs very well. First off, when you buy it instead of use the free version they advertise up to 10 REMOTE cameras. What they don’t tell you is the anything on your LOCAL area network is considered REMOTE. NEXT – The software crashes. I have done 8 live streams – 5 have crashed at least once and three crashed within 5 minutes – multiple times repeatedly. Costing me business and making me look like I don’t know what I am doing. LIVESTREAM IS GARBAGE!!!! 100% garbage – if you want to do it right get Wirecast. Won’t crash, costs less, they care about the customers and it does what it says it can do. It’s actually more powerful and easier to use as well. Support is terrible. They answer the calls but nobody there has any idea how to do anything. Talk to 3 different people get three different answers none fix the issue. Hi, I have noticed that videos after the streaming ends show this message, “posted by Wirecast”. Is there any way to change that message to something more personal or for bussines ? excuse me in my wircast i have no option to stream live on facebook how i can got that option? check what version you are on. We introduced this in version 6.2. If you’re on an earlier version, you need to upgrade to version 6. or 7.
hola actualmente uso wirecast studio 6.07 y logro hacer streaming hacia facebook y youtube. he comprado wirecast pro ver 7 y no puedo hacer, en esta version, el streaming simultaneo ya que al iniciar facebook ya no permite iniciar youtube. que puedo hacer. I need help. Everytime I try streaming to FB Live with Wirecast (using 7.3.0) it will send at the resolution of 640 x 360. I always select encoding to be the default 720p30at 3Mbps– but it still output to 640 x 360. Why is this? Please help! Facebook policies allow recording your stream locally or streaming to generic RTMP destinations, however, streaming to other destinations is disabled. Whenever I go live on FB there is notification sent to my friends list? how can i make it happen? Live videos on “Facebook Live” from @adafruit @facebook #‎whereswirecast #F8 « Adafruit Industries – Makers, hackers, artists, designers and engineers!